As we find ourselves in the midst of summer, it is more important than ever to make sure your outdoor area is up to standard. Whether you are entertaining guests outside or simply creating an inviting space for you and a loved one, the perfect outdoor environment can change the look and mood of any home. 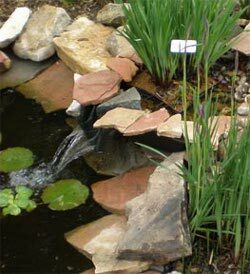 Our Fort Worth TX landscape design specialists at Blooms Landcare can help you create the perfect outdoor environment for your home today. With us, an outdoor environment can be aesthetically eye-catching and equally practical. An outdoor area for your home can overhaul the look of your home, transforming a boring backyard into an extremely useful living space. With garden design available, as well as stone work, we can create a beautiful area for you and your family to enjoy. This oasis in your own home can not only provide you with an area of retreat in your very own backyard, but increase your home’s curb appeal as well, perfect if you’re planning to sell any time in the near future. With services ranging from mood lighting to walkways and retaining walls, our Fort Worth TX landscapers can design and execute your ideal outdoor environment. Outdoor lighting can create the perfect ambiance for any environment, and a walkway can provide a practical path to your garden or plants. Our landscaping company in Fort Worth TX can provide you with these outdoor design services, and many more, all at affordable rates. With any questions, comments, or to schedule a landscaping service, feel free to give us a call at (817) 688-5352 or visit us online today.